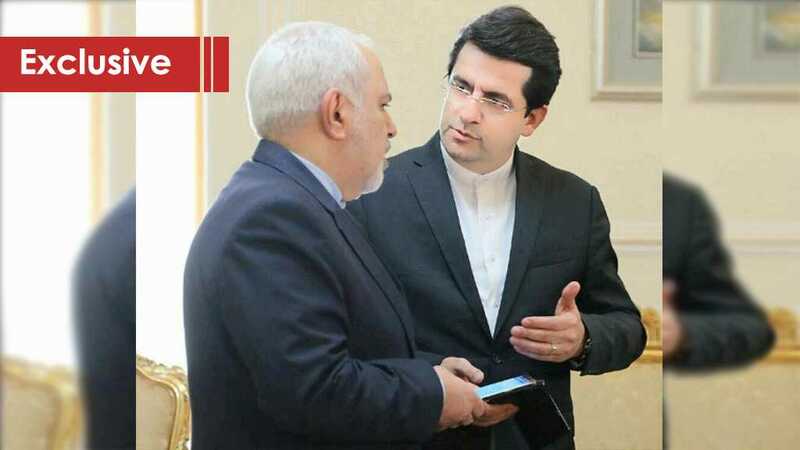 In his first interview with a non-Iranian media outlet, the spokesperson for Iran’s Foreign Minister, Sayyed Abbas Mousavi, said that the visit by his country’s top diplomat, Foreign Minister Mohammad Javad Zarif, to Damascus and later to Ankara is very important. Speaking to al-Ahed News Website, he explained that the visit would have a great impact on the expansion and development of the Islamic Republic’s relations with Syria and Turkey, especially in the fields of economy and trade. Mousavi also pointed out that the visit is of particular importance in bridging differences on regional issues. According to Mousavi, the visit is an important step to removing existing obstacles when it comes to settling the crisis in Syria as communications, negotiations and efforts to reach a political solution continue. “We hope to see positive results from these endeavors in the near future as we take another step towards peace, stability and security in Syria and the region,” the foreign ministry spokesperson told Al-Ahed. Zarif visited the Syrian capital a few days ago where he met with Syrian President Bashar al-Assad and other senior officials. He, then, headed to the Turkish capital Ankara where he met with Turkish President Recep Tayyip Erdogan and Turkish officials. The meetings Zarif held focused on bilateral relations between Iran, Damascus and Ankara as well as ways to enhance these relations since the Islamic Republic has excellent relations with both countries. Observers described this visit as important in the light of the developments in the region and the world, especially regarding the Syrian dossier. TEHRAN (FNA)– Iranian Foreign Minister Mohammad Javad Zarif underlined efforts made by the Islamic Revolution Guards Corps to fight against the ISIL terrorist group in the regional states after the US move to designate the IRGC as a “terrorist organization”. Iranian Foreign Minister Mohammad Javad Zarif warned the US of the consequences of its possible move to designate the Islamic Revolution Guards Corps (IRGC) as a terrorist group, saying the move would “drag the US into a quagmire”. “#NetanyahuFirsters who have long agitated for FTO (foreign terrorist organization) designation of the IRGC fully understand its consequences for US forces in the region. 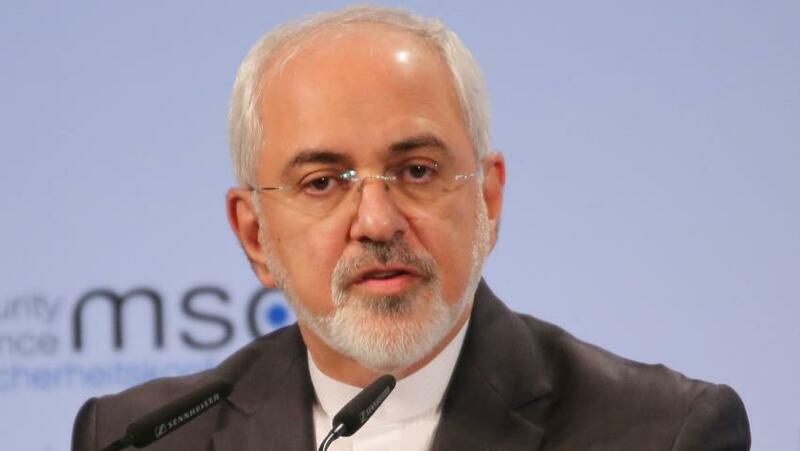 In fact, they seek to drag US into a quagmire on his behalf,” Zarif said on his Twitter account on Sunday night. “@realDonaldTrump should know better than to be conned into another US disaster,” he added in his tweet, referring to President Donald Trump. The administration of Trump is expected to designate the IRGC as a foreign terrorist organization as early as next week, according to a US official. One of the world’s top military establishments that are expected to be blacklisted by the United States, the IRGC was found by late Imam Ruhollah Khomeini and established on May, 5, 1979. 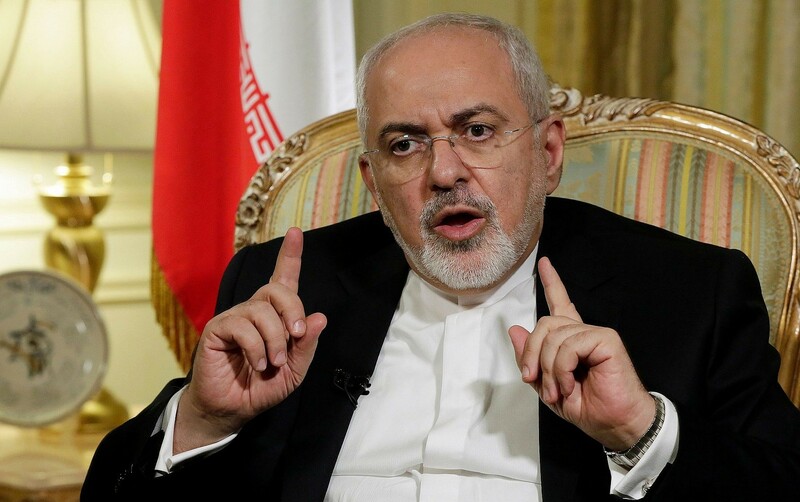 Iranian Foreign Minister Mohammad Javad Zarif said the US administration is giving voice to the Zionist entity’s falsification of the Torah to promote Iranophobia. “Even the Torah is distorted to serve Iranophobia. What it actually says: Persian king saved Jews from captivity in Babylon. Another Persian king saved Jews from genocide. 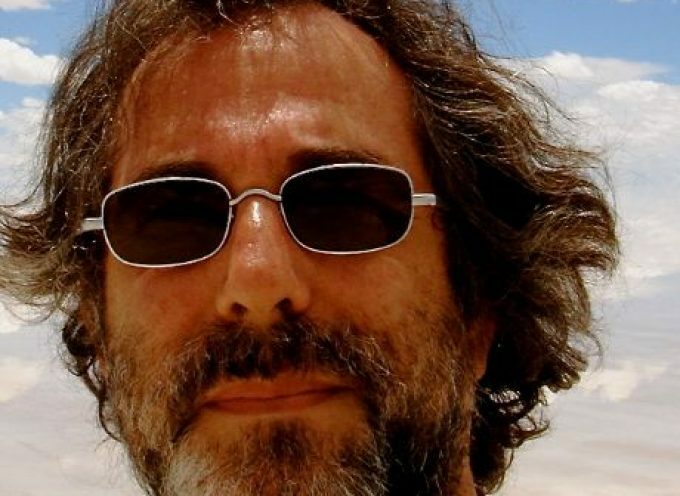 Genocide plotter hailed from Negev, not Persia. 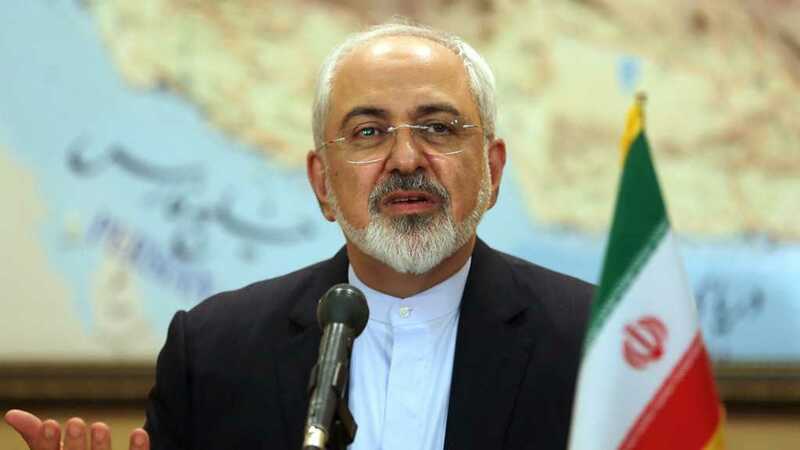 Persian king is only foreigner referred to as MESSIAH,” Zarif said in a message posted on his Twitter account on Sunday. The tweet came in response to US Secretary of State Mike Pompeo who claimed it was possible God raised New York real estate tycoon [US President] Donald Trump to be president in order to protect ‘Israel’ from Iran. Pompeo traveled to occupied al-Quds this week and made a controversial visit to the Buraq Wall, called by ‘Israel’ as the Wailing Wall, in the occupied Old City. The visit made him the highest-ranking US official to visit the site with any ‘Israeli’ leader and appeared to further signal the Trump administration’s support for the Zionist entity’s control of the contested city. In the legend, Esther is the main heroine of the Jewish holiday of Purim, which was celebrated this week. According to Jewish accounts, Persian King Xerxes I discovered a plot by his viceroy Haman the Agagite who hailed from Negev to slaughter Jews some 2,500 years ago and had him executed. Relatively, it is worth mentioning that Iran is home to some 25,000 Jews who are a recognized minority and are allocated a seat in parliament. Turning and turning in a widening gyre, the geopolitics of the young 21st century resembles a psychedelic mandala conceived by Yama, the Lord of Death. Kim Jong Un, chairman of the Democratic People’s Republic of Korea, fresh from a 70-hour train journey, meets in prosperous, communist Hanoi with fellow Nobel Peace Prize contender Donald Trump under the benevolent gaze of Uncle Ho. This very sentence, if announced not long ago, would have elicited transcontinental howls of derision. Chairman Kim, owner of a small nuclear arsenal, is deemed worthy of dialogue by the hyperpower while the nuclear-deprived leadership in Iran is not, even as the hyperpower ditched a multilateral, UN-approved, working nuclear deal. In parallel, the hottest border in Asia reveals itself not to be the DMZ between the Koreas, but once again the Line of Control between nuclear powers India and Pakistan in Kashmir. Although Islamabad and Delhi might, in theory, escalate to pointing nuclear missiles towards each other, the DPRK won’t point a nuclear-tipped missile at Guam and Tehran points to nothing at all, as it does not hold any nuclear missiles. In a lighter, Looney Tunes vein, exit regime change in Pyongyang, while regime change in Iran stays, and enter regime change in Venezuela. Iran may still be placed in the Axis of Evil, but the new motto is the troika of tyranny (Venezuela, Cuba, Nicaragua) as the government in Caracas plays ‘Beep Beep’ to the hyperpower’s Wily Coyote. Facts are implacable. NATO, after nearly two decades, was miserably defeated in Afghanistan. The NATO-Gulf Cooperation Council war by proxy in Syria failed. The winners are Damascus, Tehran and Moscow. The conflict in Donbass is frozen. So, a remixed Monroe doctrine is back, even as a humanitarian ploy – reminiscent of the “humanitarian imperialism” that led to the destruction of Libya – may have failed, for now. Brazilian Vice-President General Hamilton Mourao has introduced a dose of sanity going against the “all options on the table” regime change of his own President, Jair Bolsonaro. Mourao constantly insists “the Venezuela question must be decided by Venezuelans”, adding that US threats sound “more like rhetoric than action” as a military attack would be “purposeless”. What’s in a name? Pakistan may indeed mean “land of the pure” in Urdu, but the key is in the acronym; K stands for Kashmir – alongside P for Punjab, A for Afghania (actually the Pashtun tribal areas), S for Sindh and T for the “tan” in Balochistan. K is a matter of national identity. The first Indo-Pak war after Partition in 1947 was over Kashmir. In the following year, Kashmir was divided by the Line of Control (LoC), which remains the de facto Berlin Wall of Asia, way more dangerous than the demilitarized zone (DMZ) between the Koreas. Another mini-war across the LoC took place in 1999. There’s no end in sight to Kashmir being roiled over and over by skirmishes or even partial conflagration between jihadis – protected by Islamabad at different levels – and the Indian army. The Islamist Jaish-e-Mohammed (JeM) wants the whole of Kashmir annexed to a Pakistan governed by Sharia law. JeM’s Kashmir obsession is also shared by their de facto allies Lashkar-e-Taiba (LeT). Both are supported – with degrees of nuance – by Pakistan’s intelligence agency, the ISI. Most of all, both are heavily supported, financially, by the Wahhabi House of Saud and the United Arab Emirates. There’s no solution for Kashmir that does not involve cutting off Saudi proselytizing, financing and weaponizing – the toxic cocktail that nurtured Pakistan’s famous Kalashnikov culture. And there can be no solution when the House of Saud’s ability to have nuclear weapons “on order” from Islamabad remains the number-one open secret in South Asia. 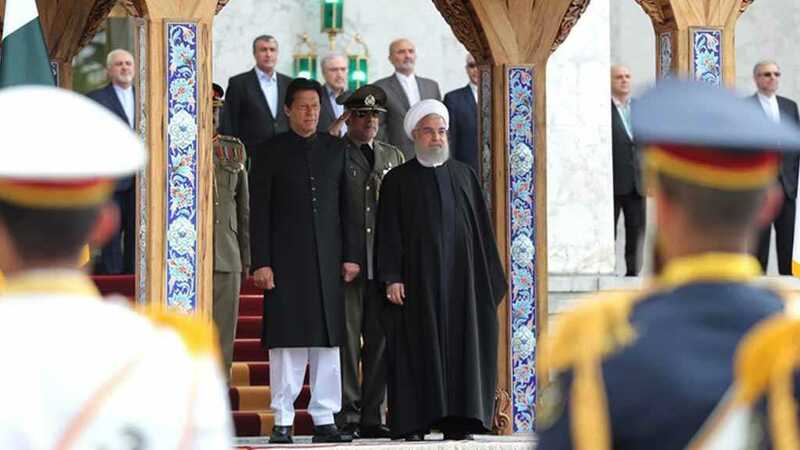 Were this a sensible realm, oblivious of Yama, India and Pakistan would talk, like Prime Minister Imran Khan has just offered, within a framework such as the Shanghai Cooperation Organization, of which both are members, with Russia and China as mediators. And that brings us to what happened in Yueqing, China, on Wednesday, totally under the Western radar; a de facto, ministerial-level meeting of the “RIC” in BRICS, uniting Russian Foreign Minister Sergey Lavrov, Chinese Foreign Minister Wang Yi and Indian Foreign Minister Sushma Swaraj. Lavrov may have denounced “absolutely brazen attempts” to “artificially create a pretext for military intervention” in Venezuela. But the game-changer should have been what Russia, China and India discussed on Kashmir, which may eventually have a direct impact on both Islamabad and New Delhi attempting to defuse a still explosive scenario. China and Russia’s coordinated positions were absolutely instrumental in facilitating North Korea’s dialogue with the Trump administration. Yet it’s still a long way away from South Korean President Moon’s dream: Trump officially declaring an end to the 1950-53 Korean war, via a peace treaty replacing the current armistice with iron-clad security guarantees. After all, that is the number-one condition for the DPRK to start contemplating denuclearization. China and Russia, in theory, also have what it takes to bring India and Pakistan to reason – plus the clout to put pressure on Saudi Arabia’s weaponized Wahhabism. And yet, from Washington’s perspective, China and Russia are “threats” – from the National Security Strategy all the way down to functionaries such as Air Force General Terrence O’Shaughnessy, the Northcom commander, who just told a Senate committee that Russia’s “intent to hold the US at risk” presents an urgent threat. China, Russia and Iran are essential nodes of Eurasia integration, which interlock key vectors of the New Silk Roads, via Iran’s trade agreement with the Eurasia Economic Union and expansion of the International North-South Transportation Corridor (INSTC). Considering the stakes, Lavrov and Yi could not but be stunned by Iranian Foreign Minister Mohammad Javad Zarif resigning from his post via Instagram. Sources in Tehran maintained that the key reason for Zarif resigning was that he was not informed – and did not attend – an ultra high-level meeting in Tehran on Monday of Syria’s Bashar al-Assad, Supreme Leader Ayatollah Khamenei, the IRGC’s Quds Force commander Qassem Soleimani and President Hassan Rouhani when they discussed strictly Syrian military matters, not diplomacy. Zarif may not have been in the room, but his number two, Abbas Araghchi, was. In the end, Rouhani rejected Zarif’s resignation, stressing that it was against Iran’s national interests. And crucially, Soleimani said that Zarif had total support from Khamenei. Even as various factions of Iran’s hardliners may be fuming with both Zarif and Rouhani, characterizing them as fools who fell into an American trap, the last thing Tehran needs at the moment – under pressure by hybrid war – is internal division. In parallel, support from both Russia and China won’t waiver. Washington may deploy variations of Hybrid War but most reflexes remain undiluted Cold War. The mechanism remains the same. A fortune in US taxpayers’ money is showered on the industrial-military complex, with defense contractors and major corporations paying back fabulous campaign contributions to the political class. That’s why someone like Tulsi Gabbard, who is anti-war – hot, cold and hybrid – and anti-regime change, will be smeared to Kingdom Come by the weapons lobby, and prevented from making a run for the presidency. The Global South has learned that turning and turning in the widening gyre, some countries are indeed more equal than others. Even though some may be relentlessly blasted as terrorist enablers (Pakistan), and nuclear powers as a rule must be appeased (DPRK) and seduced (India as a plank of the “Indo-Pacific” strategy). Chairman Kim is now a “great leader” who can hand his nation a “tremendous future”. 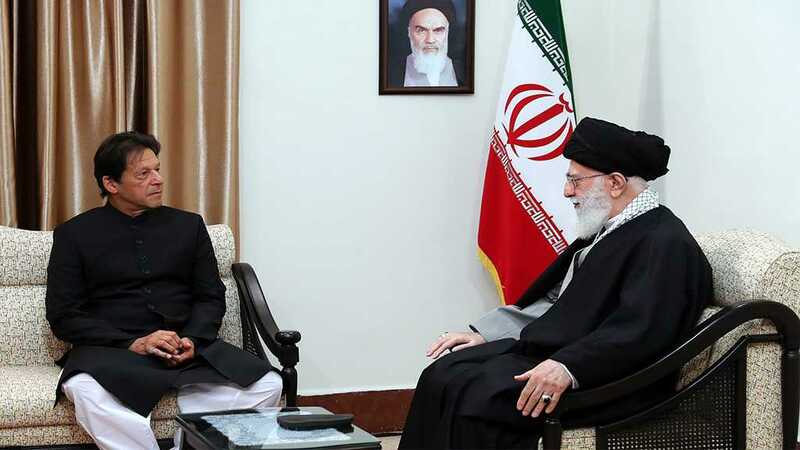 Non-nuclear powers, especially those rich in natural resources and implementing strategies such as bypassing the US dollar, like Iran and Venezuela, face the fate of being regime change targets, slowly and painfully devoured by Yama, the Lord of Death.